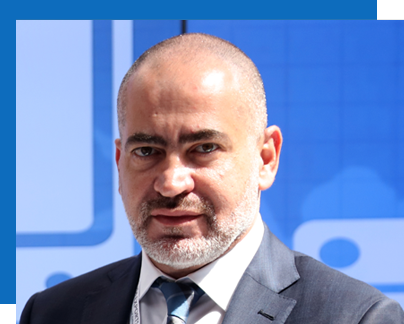 Mawarid Technology’s singular vision is to be recognised as the most influential technology hub in EMEA. We are trailblazing the path in technological innovation. This is an enterprise built on synergies and a common passion for enabling growth in the UAE. From tackling unique business challenges to high-profile infrastructure and military projects, we are inspiring entrepreneurs from niche fields to work together and inject more creativity in the region’s IT sector. Hundreds of engineering leaders have come together to deliver a level of security and efficiency that meets the most complex and diverse technology needs. We enjoy long-standing relationships with large businesses and key governmental bodies in the GCC region and neighbouring frontiers, a privilege earned through our expertise in IT, security systems and payment solutions. At Mawarid Technology, we strive to develop a deep understanding of the issues affecting our clients. Applying our innovation and services to address the great challenges of today provides strong growth potential for us. We are working hard to keep ahead of the trends and solutions, looking at new business divisions such as cybersecurity, and for these and any other reasons, I am excited and proud to lead this company and proud to be working with such a talented pool of people.